Master Chief | Things That Go [BLEEP]! Your First HALO 4 Trailer!!! Halo. When almost anyone thinks of the Xbox franchise they think of the big franchises: Halo, Gears Of War, Fable, etc. It’s needless to say that Halo has greatly helped the sucess of the Xbox franchise. Well, Master Chief is back with Cortana for yet another trilogy starting with Halo 4. In a bold and suprising move, Halo 4 was announced for Xbox 360….not it’s forthing coming spawn: 720, etc, etc… I would have thought surely Microsoft would use Halo 4 for a new console seller, but props to them for this move. 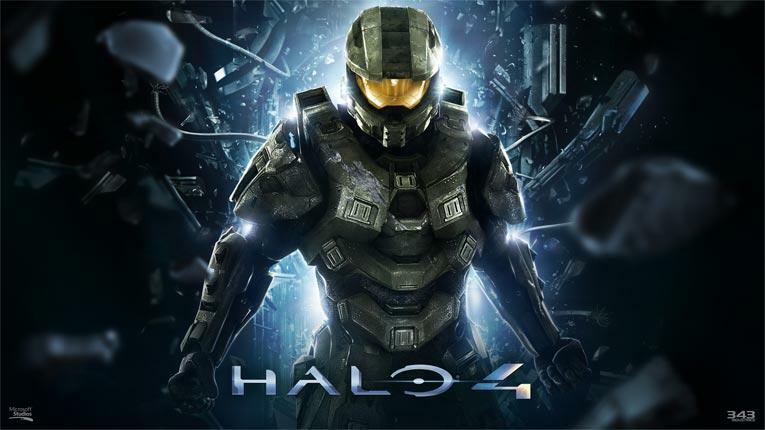 Halo 4 will launch this holiday season, 2012! Are you excited yet? Bungie Creating A Map Maker For Halo? New Secret Halo Bungie Project Revealed…? Ah the calm before the storm that is E3. Well actually, there is no calm before the storm…actually, it’s like you’re in the middle of a hurricane. Rumors are abound and this one may have some truth behind it. Apparantely a source that is very knowledgable about Bungie development slate has slippped out some information to Gamespot. It’s said that this could be the rumored project from 2006 called “Halo: Frontrunner”, but that has not been confirmed. As for this new information on the Halo project, here are a few details that are mentioned in the article. It’s said that this new project will NOT FEATURE MASTER CHIEF AT ALL. I know…right? A Halo game without Master Chief…how’s that going to be? Not only is there going to be no Master Chief at all, but it’s also supposed to more darker and even grittier than ever. Got your attention? It’s got ours and truly, I’m not even that big of a Halo fan. The source claims that it will be a cross between “Gears of War & Tom Clancy’s Ghost Recon”. The game is going to base around a squad of the UNSC forces fighting The Covenant. Also, the rumor going around is that you can play as the entire squad; meaing possibly up to an 8 player co-op game…how cool is that? 8 player co-op…count me in! But whether all of this is truth or not…I guess we’ll find out shortly seeing how E3 starts up tomorrow.